Laurent Perrier Brut NV Champagne is a popular Champagne available from Waitrose Cellar in 37.5cl to buy online. Visit Waitrose Cellar for the best price for 37.5cl of Laurent Perrier Brut NV Champagne or compare prices on our other Champagne products. A blend of 45% Chardonnay, 40% Pinot Noir & 15% Pinot Meunier. This Champagne has a delicate and fresh nose, with good complexity and notes of citrus and with fruit. It is fresh and supple upon entry with rounded and expressive flavours from which the fruit progressively emerges. Good balance and length. 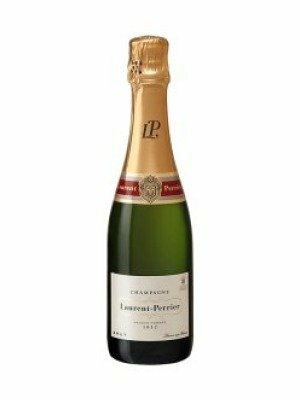 You can buy Laurent Perrier Brut NV Champagne online in most retailers and find it in the Champagne aisle in supermarkets but we found the best deals online for Laurent Perrier Brut NV Champagne in Waitrose Cellar, DrinkSupermarket.com, and others. Compare the current price of Laurent Perrier Brut NV Champagne in 37.5cl size in the table of offers below. Simply click on the button to order Laurent Perrier Brut NV Champagne online now.